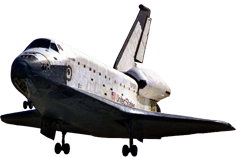 The BURAN orbiter is the first reusable manned space vehicle in our country. The BURAN orbiter is the space airplane which may descent from an orbit and land to an airdrome. The BURAN is our first vehicle capable not only to put pay-loads into Space, but also to provide their orbit maintenance and repair as well as return to the Earth. 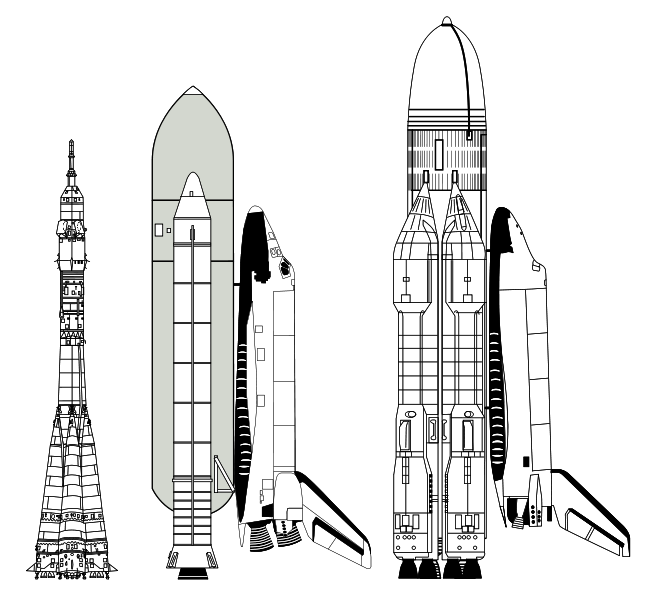 The BURAN predecessors could execute only separate roles: VOSTOK and SOYUS vehicles were intended only for crew flights, PROGRESS - for cargo delivery onto the orbital station. Put into the orbit by a rocket carrier of the average size they had modest transport potentials. Whereas the cargo flow on the Earth-orbit line increased and the development of a reusable vehicles of large carrying capacity has become inevitable. The BURAN orbiter is able to put up to 30 tons into Space and to return up to 20 tons of payload to the Earth. The availability of a cargo compartment of impressive sizes on the vehicle permits to transport orbital station modules or large structures up to 17 m long and 4,5 m in diameter and not only 2-4 crew members but up to 6 passengers can be accommodated in a crew cabin. 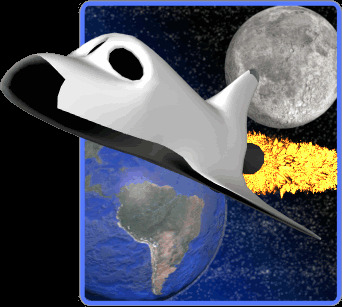 Expendable space vehicles perform a ballistic or sliding descent in the atmosphere and parachute landing. 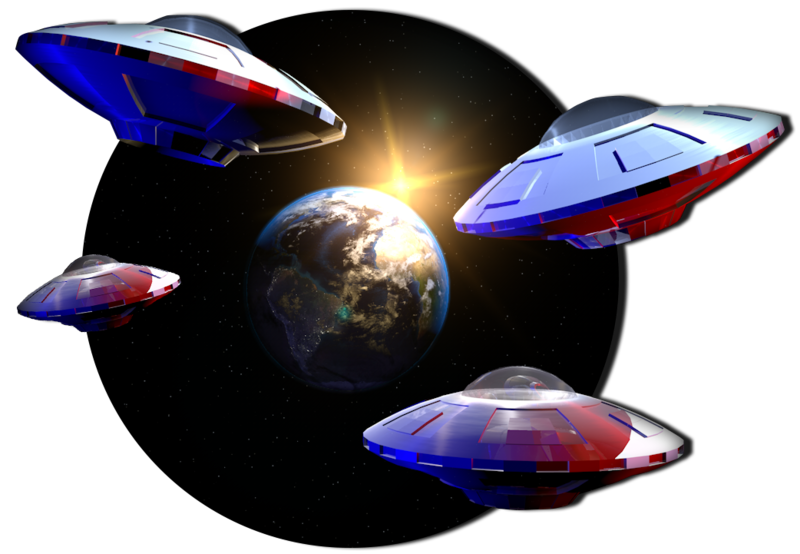 The necessity to provide a space vehicle return from the Space and to bring it to the airdrome forced the designers to decide many complex problems. 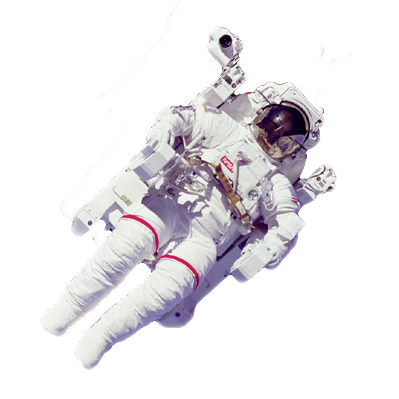 - flexible material for surface parts with the temperature not higher than 379 degrees C.
All of them surpassed by strength the materials used in the USA Space Shuttle construction. Each of almost forty thousand tiles of ceramic thermal protection had its original geometry differing from the others by plane form, side surfaces view and inside and outside surfaces curvature, availability of cuts and notches. The measurements of a real frame surface geometry under each tile in more than 100 points were made to ensure the tiles fitting closely. To execute all this manually was impossible. The special software was developed and as a result form building, manufacturing and installation of tiles were carried out completely on paperless technology without drawings and templates, using the bank data. The bank data is based on the interface between a design office and plants. The data bank information describtes the geometry, technology parameters and materials. More than one billion manufacturing control and testing programmes are automatically generated on the plant. The BURAN descending from a space orbit passes all possible for an airplane flight performances in the atmosphere starting with large hypersonic (M-25) up to landing (M=0,2) speeds. In this connection the aerodynamic scheme without a horizontal tail with a double swept wing, with elevons, rudder-aerodynamic brake and balance flap as control surfaces has been chosen. This assembly has been worked up during wind tunnel tests and evaluated in the BOR-5 suborbital flying model flights. For working up the most responsible flight phase - landing approach and landing - the BURAN flying prototype was constructed. In general it distinguished from the orbital vehicle by installation of four turbojet engines and accordingly by capability of an independent takeoff from the airfield. 24 flights were executed on the prototype, in 15 of them completely automatic mode landing was made. There was no pilot onboard the orbiter but it having made two turns around the Earth completely automatically controlled touched the runway with the accuracy which experienced pilots could envy. It was the first in the world automatic landing of a spaceplane. The SPACE SHUTTLE defaults it so far. The BURAN orbiter flight was a necessary step in the space engineering progress but it has left its trace not only in this field. Born in the course of work on the BURAN project new materials, technologies, computer designing methods and equipment components find an application in far, at first sight, from Space branches of economy. We are glad to introduce the last (2.0 release) version of Buran orbiter 3D 'roentgen' sketch. - the cutting lay-out pattern of thermoprotection tiles of Buran is optimal and longitudinal slits of tile belts are orthogonal to the flow line. Sharp angles of tiles are absent. The tile belts of the Buran fuselage and fin have an optimal position. 1976 May: Scientific and technical council of Space Systems Chief Directorate, GUKOS, reviews and approves the Buran reusable system project. 1976 Nov. 8: Dmitry Ustinov approves technical requirements for the Buran reusable system. 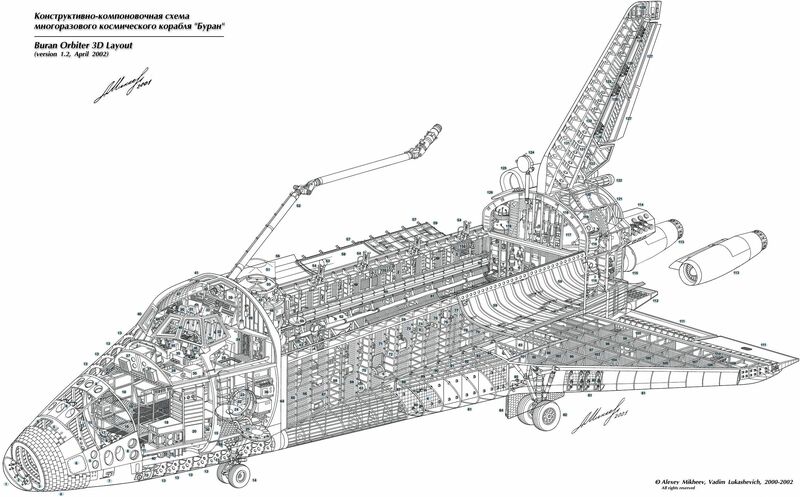 1976 Dec. 12: The Chief Designer at NPO Energia approved the preliminary design concept of the Buran reusable system. 1976 Dec. 18: The Military Industrial Commission of the Soviet of Ministers of the USSR finalized the industrial team involved in Energia-Buran development. 1977 July: The Council of Chief Designers and the Scientific-Technical Council of the Ministry of the General Machine Building (NTS MOM) approved the addendum to the preliminary design of the Energia-Buran system. 1977 Oct. 27: A manned prototype of the Spiral space plane was dropped from a modified Typolev-95 strategic bomber for a free-flight test. 1977 Nov. 21: The Soviet government issued a decree detailing major stages and activities in the development of the Energia-Buran system. 1978 March: The Soviet rocket industry completed the technical specifications for the Energia-Buran development. 1980 Dec. 5: A model of Spiral space plane, designated Bor-4c, conducted its first suborbital flight in the direction of Lake Balkhash, on top of the K65M-RB5 (Cosmos-3) rocket to test a vehicle for future orbital missions. 1982 Jan. 6: The 3M-T Atlant transport aircraft conducts the first test flight carrying a hydrogen tank of the Energia rocket. 1982 January: The Minister of General Machine Building appointed B. I. Gubanov as a head of Energia-Buran development. 1982 June 4: Bor-4 No. 404, a model of the Spiral space plane, was launched into orbit and splashed down in the Indian Ocean. It was announced under name Cosmos-1374. 1983 March 1: The VM-T aircraft carried the Buran orbiter for the first time. 1983 March 16: Bor-4 No. 403, a model of the Spiral space plane was launched into orbit and splashed down in the Indian Ocean. It was announced under name Cosmos-1445. The recovery of the spacecraft by the Soviet Navy vessel was photographed from an Australian military plane. The pictures of the top-secret recovery operation were then published around the world. 1983 August: The body of the Buran orbiter was delivered to NPO Energia’s Control and Test Station, KIS, where it would be used as a “Complex Stand” (KS-OK) for testing of the vehicle’s systems. 1983 Dec. 13: The Typolev-154 flying laboratory designed to test software and automated landing systems of the Buran orbiter conducted its first flight. 1983 Dec. 27: Bor-4 No. 405, a model of the Spiral space plane was launched into orbit and splashed down in the Black Sea instead of Indian Ocean to maintain secrecy around the project. It was announced under name Cosmos-1517. 1984 June 4: A full-scale test stand of the Buran’s flight control system, known as PRSO, was powered up for the first time. 1984 July 6: The first launch from Kapustin Yar on a suborbital flight in the direction of Lake Balkhash of the K65M-RB5 (Cosmos-3) launcher with Bor-5 No. 501, a 1 to 8 scale model of the Buran orbiter. Due to an electrical failure, the model did not separate from the launch vehicle. 1984 Dec. 19: The last launch of the Bor-4 orbiter concluding a series of four test flights. It was announced as Cosmos-1614. The craft splashed down in the Black Sea. 1985 April 17: The second launch from Kapustin Yar on a suborbital flight in the direction of Lake Balkhash of the K65M-RB5 (Cosmos-3) launcher with Bor-5 No. 502, a 1 to 8 scale model of the Buran orbiter. 1985 Aug. 2: The Soviet government decrees to start flight testing of the Buran orbiter in the fourth quarter of 1986. 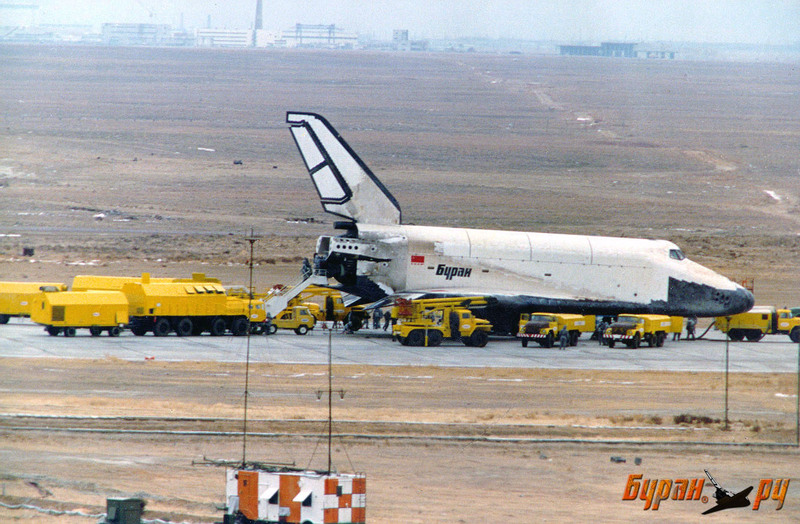 1985 December: The body of the flight version of the Buran orbiter arrived at Baikonur on the back of its carrier aircraft. 1986 May: Processing personnel in Baikonur started electrical testing of the flight version of the Buran orbiter. 1986 Dec. 27: The third launch from Kapustin Yar on a suborbital flight in the direction of Lake Balkhash of the K65M-RB5 (Cosmos-3) launcher with Bor-5 No. 503, a 1 to 8 scale model of the Buran orbiter. 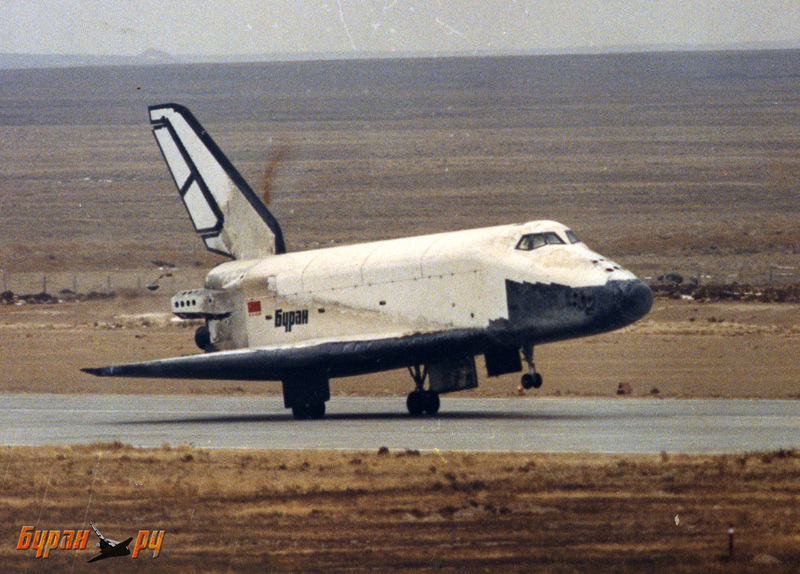 1987 Feb. 10: The 002-GLI prototype of Buran conducted the first automated approach and landing on a runway. 1987 Feb. 16: The 002-GLI prototype of Buran went through the entire landing process automatically during its 10th flight. 1987 May 15, 21:30 Moscow Time: The first Energia super-heavy booster (Number 6SL) was launched from Site 250 at Baikonur, carrying the Polyus experimental military payload. The rocket performed flawlessly, however, the Polyus orbital maneuvering system fired in the opposite direction due to a control system problem, causing the payload to fall in the ocean. 1987 Aug. 27: The fourth launch from Kapustin Yar on a suborbital flight in the direction of Lake Balkhash of the K65M-RB5 (Cosmos-3) launcher with Bor-5 No. 504, a 1 to 8 scale model of the Buran orbiter. 1987 Oct. 15: The processing personnel in Baikonur finished the assembly of the flight version of the Buran orbiter. 1988 Feb. 15 – April 25: Tests of Unified Propulsion System, ODU, and Auxiliary Power Unit, VSU, of the Buran orbiter were conducted at the Firing Control Test site (OKI) at Site 254 at Baikonur. 1988 April: Flight testing of the 002-GLI prototype is concluded after 24 flights. 1988 May 9: The integration of the Buran orbiter with the Energia launch vehicle started in preparation for the test rollout to the launch pad at Baikonur. 1988 May 19: Test rollout of the Energia-Buran system on the launch pad at Site 110 at Baikonur. 1988 June 19: The Energia-Buran returned from the launch pad. 1988 June 20 – Aug. 26: The Buran orbiter removed from the launch vehicle and returned to the processing area for upgrades. 1988 June 22: The fifth launch from Kapustin Yar on a suborbital flight in the direction of Lake Balkhash of the K65M-RB5 (Cosmos-3) launcher with Bor-5 No. 505, a 1 to 8 scale model of the Buran orbiter, concluding a series of five test flights. 1988 Aug. 29: The Buran orbiter was docked with the Energia vehicle in the processing building at Site 112 at Baikonur. 1988 Sept 13: The Energia-Buran system transported to the fueling station, MZK, for hazardous operations. 1988 Oct. 10: The Energia-Buran system was rolled out to the launch pad in preparation for the first test mission, scheduled for Oct. 29, 1988. 1988 Oct. 26: The State Commission gave a green light for launch, scheduled for Oct. 29, 06:23 Moscow Time. 1988 Oct. 29: At T-51 seconds before the scheduled liftoff, the automated processing system issued an emergency command after it has detected a problem in the launch sequence. 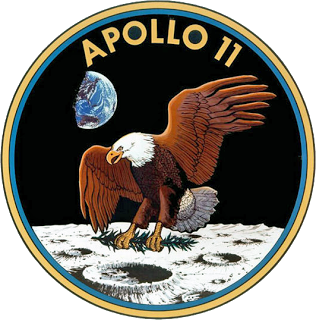 The State Commission made the decision to postpone the launch until Nov. 15, 1988. 1988 Nov. 15: 06:00:02 Moscow Time: The Energia super-heavy booster carrying an unmanned Buran reusable shuttle blasted off from Baikonur. 206 minutes or two orbits later, the Buran automatically landed at the Yubileiniy airfield at Site 251 in Baikonur. 1988 Dec. 21: The Antonov-225 Mriya super-heavy transport aircraft, designed to transport the Buran orbiter, conducted its first test flight. 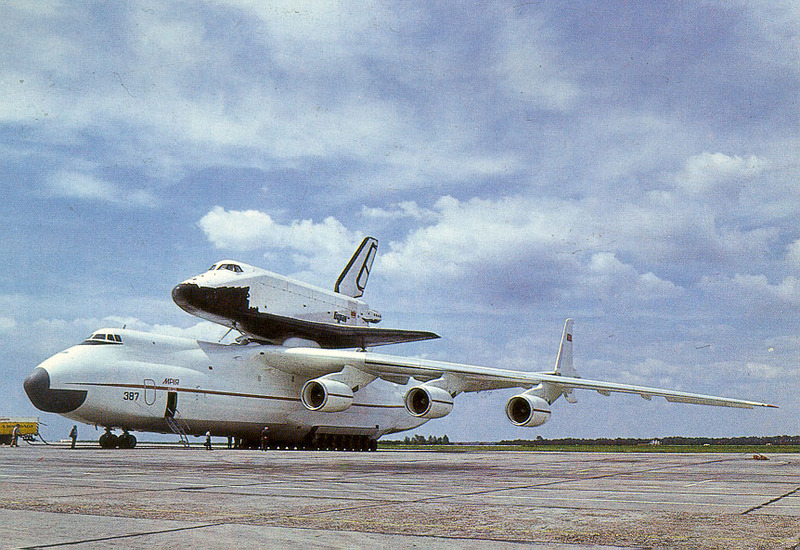 1989 May 13: The Antonov-225 Mriya super-heavy transport aircraft conducted its first flight carrying the Buran orbiter. 1989 Dec. 28: The last practical work with the BTS-002 test vehicle is concluded in Zhukovsky. 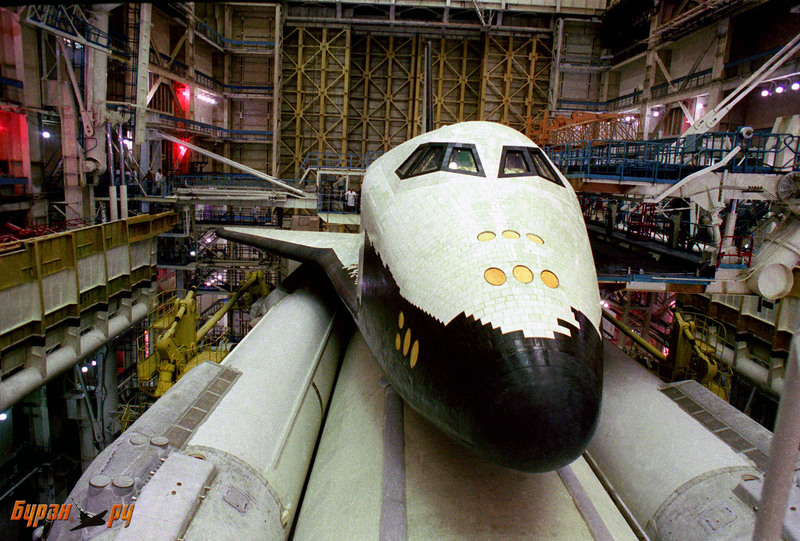 1992: Funding for Energia-Buran program dries out. 2002 May 12: The flight version of the Buran orbiter is destroyed in the roof collapse at Site 112 in Baikonur. 2012 Oct. 15: A full-scale prototype of the Buran orbiter is removed from RKK Energia’s Checkout and Test Building, KIS, to be installed at an outside display site. - "Scientific Potential of the NPO MOLNIYA" by Fedotov V.A. 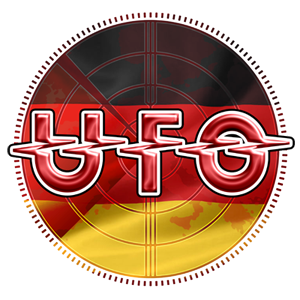 Heute waren schon 33870 visitors (72190 hits) hier!